Enjoyed campfire at night, sitting on the porch, and location to downtown Dells & Devil's lake for hiking. Our family of 12 (ages 2-64) had a wonderful time staying here! There were plenty of beds, ample room to move around, and everything we would need during our stay. Sondra was very helpful with our questions and answered us quickly. Their family even came and cleared a tree that fell into the driveway during our stay. We would highly recommend staying here! The cabin was clean - and kitchen living area spacious for our group of 8. The area was quiet and had a peaceful feel about it. Enjoyed the deck and fire pit outside, also we all at times used the front porch with chairs. It was a real treat to stay at the property. We had 3 families and thoroughly enjoyed our stay. The house had everything you would need for a nice vacation. Close to the water parks as well as to the river. Nice new property, clean and inviting. Kids had a blast playing basketball and nightly BBQs and campfires. Would recommend to anyone! Great get away cabin, close enough to the daily activities at the Dells yet far enough to enjoy the peace and quiet of its beautiful secluded setting! We found the cabin to be very clean and well-maintained. Fully furnished and beautifully decorated. Sondra provided excellent care in making sure our stay was perfect. I would recommend this property to friends and family. We look forward to staying here again. Wonderful cabin home in a quiet area! We spent our family vacation in the Wisconsin Dells. This home was perfect! Very clean and extremely well-maintained! We accidentally broke a door knob, and they fixed it within 20 minutes! The kitchen is well-stocked with necessities! The basketball hoop was hit as well!! The rooms were perfect. It was a great place to relax after a long day at the water park, zip line courses, adventure park and rope courses! The fire pit was a great place for us to sit and relax! We would definitely come again! Absolutely beautiful with large gathering spaces and a nice front porch and back deck. We had an amazing family reunion thanks to this cabin! The kids enjoyed making s’mores around the fire pit and the adults could be found relaxing on the porch, deck or around the pool table. It is minutes from an indoor/outdoor waterpark (Chula Vista which wasn’t crowded at all on a Monday) and nearby the downtown strip for shopping, food and entertainment. We really enjoyed the solitude of being in the woods, yet being so close to everything. We’ve already discussed making this a yearly summer trip! Thanks for a wonderful stay. Beautiful, comfy cabin was private and well-equipped. Close to amenities and attractions. We had a great time making s'mores around the fire pit. We grilled trout we caught at a trout farm. Grandkids loved water parks, Wizard Quest, and the magic show. We also got to see twin fawns being born at the Deer Park. Would definitely recommend this location and accommodations to family and friends. The cabin is beautiful and the location is great. We had a large group and the space was more than plentiful. I would definitely recommend to anyone. We loved our stay. It was a big house, very new, and had all the amenities we were looking for. We liked the location, just out of the craziness of town but a super quick drive to anything plus Chula Vista right down the street. The best part was Sondra - I have never rented a home from a more responsive person. I'd gladly rent from her again next time I'm in the dells! Everything was in great condition and we had zero problems with the cabin. Plenty of room for activities both inside and outside. Thanks for a great stay. Very nice cabin! Had a great time! The place was clean as a whistle and the rooms were great! It was nice being able to sleep 8 people comfortably. The fire pit and backyard patio with the grill was a major plus. Great location and amazing space. Well branded :) We'll be back. Highly recommend! This was the perfect place for a weekend getaway. Beautiful woodwork and the house very clean and very comfortable. We had everything we needed and amenities were great. I would highly recommend this place..Thank you so much! We really enjoyed the space. It had everything we needed, a perfect fire pit in the back, and plenty of space for all our guests. The cabins location gave us the opportunity to take Uber’s downtown, and to the casino (recommend Hochunk). Thanks, Sondra! Hopefully we can come back next year! This cabin had everything we needed and more. Very modern and well kept. Beds were surprisingly comfortable. We enjoyed movies on the tv downstairs and pool games on the pool table as well. Lower level bathroom with the walk in shower and jacuzzi were an awesome addition. We plan on returning during warmer weather. There was a snowstorm when we arrived but the cabin was warm cozy and inviting. We enjoyed our stay! Luxurious Cabin made for the perfect Girls Weekend in the woods! Simply put our stay was amazing. The pictures just don't do the cabin justice; the beautiful details and craftsmanship were just lovely. The kitchen was fully stocked with everything needed to prepare and serve our large group. The beds were all exceptional and the cabin it self slept and housed our 11 girls comfortably. It was so nice to be within a 10 minute drive of all the downtown Dells activities but still be far enough away to feel secluded and able to enjoy a weekend away from the hustle and bustle. We also cannot recommend Sondra highly enough, she checked in on us during our stay, via text, to ensure that all our needs were being met. 10/10 experience and accommodations. You will definitely have repeat customers with our group! This Cabin is a Great Place to Stay. We booked this cabin for a reunion of friends from different areas and couldn't have been happier with it. 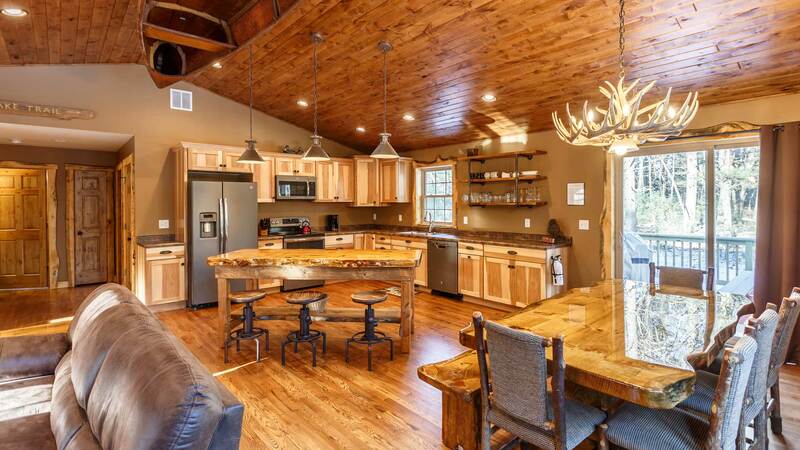 Seriously - stepping into this brand new cabin is pretty breathtaking and makes you wish you owned the place yourself. Great condition, tasteful decoration, ample furnishings, and a great fire pit out back to boot. 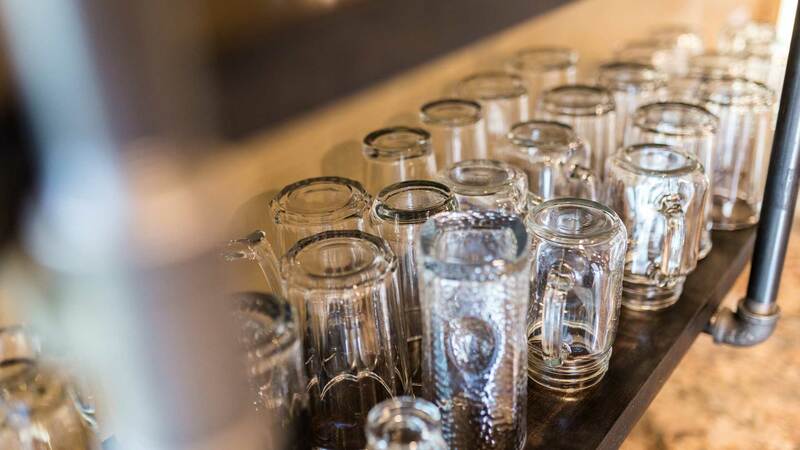 It's close enough to the Dells to be able to get out and see the sights, yet far enough away to give you more of a peaceful and secluded atmosphere than one of the local resorts. While there were no issues with the place and we didn't need any additional accommodations, Sondra made sure to be available should anything else be needed. If you're on the fence with this place - book it now. You won't regret it. What is there not to like about this property. Was easy to find. The welcome & guest book are great. The decor and layout of the house is amazing. The kitchen was fully stocked with silverware, plates, cups, bowls, pots; pans ect..towels for the bathrooms, extra pillows & blankets... enough seating through out the house. Fireplace (only down fall its on a timer for 15 mins (timer is a little loud too as it ticks). It was about 15mins away from everything we did. Sondra is amazing to responding to emails and answering any questions needed during our stay. Its a great place to stay with a group of people or just a quiet getaway. We loved the property! It’s a beautiful cabin! It’s well equipped too! It was perfect for our group. I’d highly recommend it! Owner's Response: Thank you for taking the time to give us a review! I'm so glad you enjoyed your time at Whitetail Ridge. Great space for large family gathering! We had plenty of room! The updated and roomy kitchen had plenty of space at the large table or counter to gather! plenty of bedroom space and the kids loved having the bunk beds! Great, updated home with plenty of space to gather. Very close to Chula Vista waterpark, which we went to one day as well! We are planning to come back annually! We had such an amazing time! Absolutely beautiful new home. Loved our time here and looking forward to staying again. Very well kept cabin with an open layout. Would stay again. Quiet getaway, close to nearby attractions! The Wisconsin Dells were a perfect central location for our girls trip coming from Chicago, Des Moines and Minneapolis. 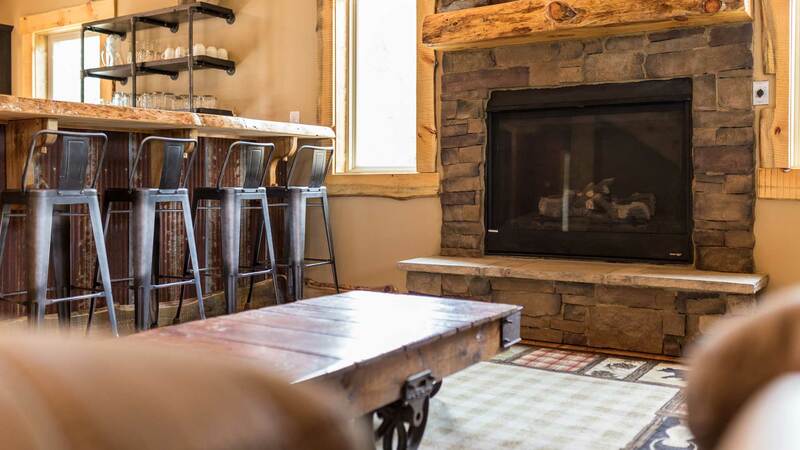 Whitetail Ridge is beautifully decorated, cozy and a quiet winter retreat. Only 5-10 minutes away from shops and restaurants on broadway. We couldn’t stop talking about how we’d love to come back next year and the year after. We had an awesome experience! Sondra was easy to reach and accommodating! Hope to be back soon! If you want to experience living in a magical house, then I would strongly recommend this house! The location, the decor, the layout EVERYTHING about that place is great. Would diffently go back there again. Come and Relax at one of our homes. 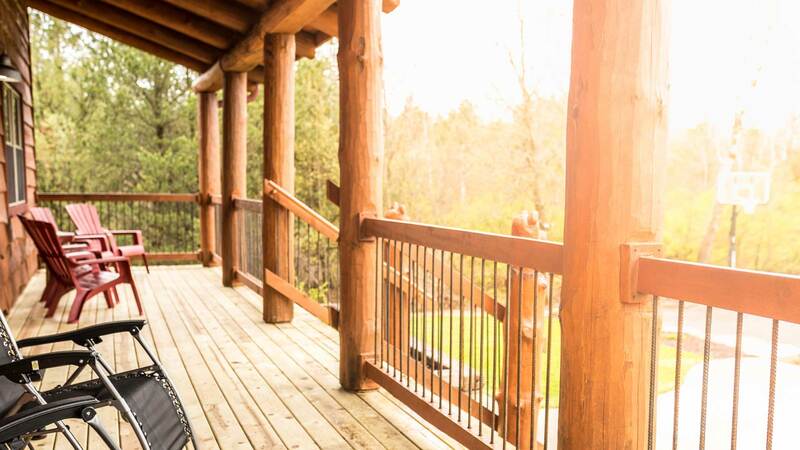 At Rustic Retreats we believe you could use some R&R! All information provided is provided for information purposes only and does not constitute a legal contract between Rustic Retreats LLC and any person or entity unless otherwise specified. Information is subject to change without prior notice. Although every reasonable effort is made to present current and accurate information, LinkNow!™ Media makes no guarantees of any kind.